What&apos;s in Our SLO CAL Beach Bag? The breeze in your hair, the salt on your skin, the adventure ahead and good food in your belly: enjoying the coast in SLO CAL is about so much more than simply soaking up the rays. With so much to do and see, the summer months tend to fly. 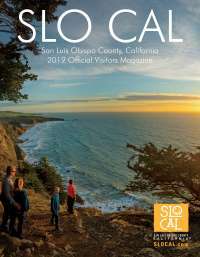 Good news for you: With year-round sun, it’s really always “beach season” in SLO CAL. That means you have 365 days to savor all the freshest flavors and fun experiences. Here’s 5 must-haves to throw in your SLO CAL summer beach bag, no matter when your vacation calls. 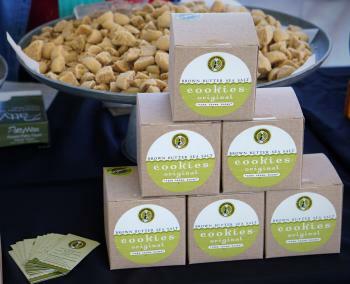 A trip to the seaside town of Cayucos is incomplete without a stop at Brown Butter Cookie Company, where delicious brown butter sea salt cookies are baked fresh daily. Chances are, you’ll smell this iconic treat before you get there (and you’ll be salivating, too). Tip: Hungry for lunch? Stop by Ruddell&apos;s Smokehouse in Cayucos for smoked fish or pork tacos and sandwiches. We recommend throwing some Cayucos Hot Sauce on top for an extra kick. You can’t have a true SLO CAL summer experience without exploring the region’s epic dunes. There’s nothing quite like them; their undulating beauty is something to behold. 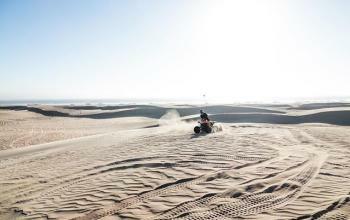 A Sunbuggy off-road ATV tour is a great way to check out the sky and sand while revving up your adrenaline, too. Bring the whole family and plan on making memories that’ll last a lifetime. Tip: For this outing, we recommend grabbing some All Good sunscreen and lip balm. This Morro Bay-based company&apos;s products can be found in many local surf shops and other retailers around SLO CAL. You can&apos;t go to the beach without some provisions. 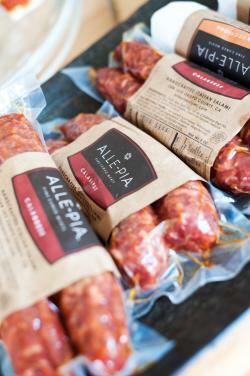 Pack your bag with salami from Atascadero-based meat company, Alle Pia, cheese from Central Coast Creamery, bread from Back Porch Bakery, olive tapenade from Pasolivo and a little something sweet from Paso Almonds. Whether you&apos;re grabbing items from the General Store in Paso Robles or Mint + Craft in downtown San Luis Obispo, you’ll find plenty of goodies to make your picnic the most delicious on the beach. 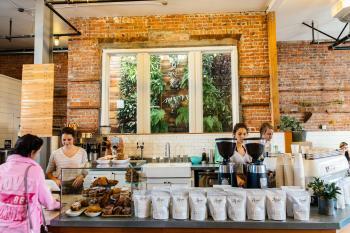 A long day at the beach means you&apos;ll want to start by fueling up at one of the Central Coast&apos;s most buzz-worthy coffee shops. If you&apos;re coming from North County be sure to stop by Spearhead Coffee in Paso Robles or Dark Nectar in Atascadero. In San Luis Obispo have your choice of Scout, Kreuzberg or Blackhorse. Grab a cup of Joe just steps from the sand in Avila Beach at Kraken.